Professor Zhong Tao was one of Australia’s first Future Fellows, awarded by the Federal Government in 2009. He joined Western Sydney University in 2007 and is currently a Professor, Director of Materials and HDR Director in the Centre for Infrastructure Engineering (formerly the Institute for Infrastructure Engineering). He obtained his Bachelor's degree from Zhengzhou Grain College in 1993 and his Master’s degree from Harbin University of Civil Engineering and Architecture in 1998. He received his PhD in 2001 from Harbin Institute of Technology. Before joining WSU, he held the position of Professor of Structural Engineering at Fuzhou University, China. 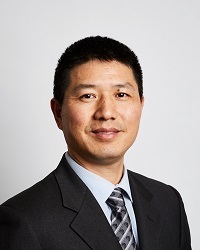 Professor Tao has a research background in the areas of construction materials, steel-concrete composite structures and structural fire engineering. He has in excess of 270 publications (including two books, 72 international journal papers and 70 Chinese journal papers) with a Scopus h-index of 21. A complete list of his journal papers can be found on Google Scholar. Professor Tao has been a major player in technology transfer, through his role in drafting design codes. He has played an important role in drafting seven Chinese design codes on steel-concrete composite structures, and contributed to the revision of two Australian design codes. Professor Tao’s innovative research work has led to the award of six Chinese patents. Professor Tao has received numerous awards and prizes for his contributions to the research and application of steel-concrete composite construction. He has been successful in attracting competitive research grants both in Australia and China with a total of over AUD $2.2 million. He has supervised over 50 higher degree research students. He currently serves on the Editorial Board of the Steel and Composite Structures Journal (Techno Press), and is a member of the Australian Steel Institute (ASI), Concrete Institute of Australia (CIA), American Society of Civil Engineers (ASCE) and American Concrete Institute (ACI). Tao, Z., Ghannam, M., Song, T.Y., Han, L.H., 2016, “Experimental and numerical investigation of concrete-filled stainless steel columns exposed to fire”. Journal of Constructional Steel Research, 2016, 118: 120-134 (SJR=Q1). Wang, Z.B., Tao, Z., Li, D.S., Han, L.H., 2016, “Cyclic behaviour of novel blind bolted joints with different stiffening elements”. Thin-Walled Structures, 2016, 101: 157-168 (SJR=Q1). Tao, Z., Wang, X. Q. and Uy, B., 2013, “Stress-strain curves of structural and reinforcing steels after exposure to elevated temperatures”. Journal of Materials in Civil Engineering, ASCE, 25(9): 1306-1316 (SJR=Q1). Tao, Z. and Ghannam, M., 2013, “Heat transfer in concrete-filled carbon and stainless steel tubes exposed to fire”. Fire Safety Journal, 61: 1-11 (SJR=Q1). Tao, Z., Wang, Z.B. and Yu, Q., 2013, “Finite element modelling of concrete-filled steel stub columns under axial compression”. Journal of Constructional Steel Research, 89: 121-131 (SJR=Q1). Tao, Z., Uy, B., Liao, F. Y. and Han, L. H., 2011, “Nonlinear analysis of concrete-filled square stainless steel stub columns under axial compression”. Journal of Constructional Steel Research, 67(11): 1719-1732 (SJR=Q1). Tao, Z., Uy, B., Han, L. H. and Wang, Z. B., 2009, “Analysis and design of concrete-filled stiffened thin-walled steel tubular columns under axial compression”. Thin-Walled Structures, 47(12): 1544-1556 (SJR=Q1).